Well, the 2nd tier of Shimano's road shoes couldn't be bad, right? As we like to say, those shoes will lasts for our grandchildren. Perfect size; my foot size is normally 27.5 cm. I'm usually preferring 28cm on running shoes as Asics 44, New Balance 44, Mizuno 44; so I order 44 size and fit perfect. If you have any suspicions about looks, it's looks so nice. I couldn`t ride so much as to write a useful review yet. I'll do it as soon as possible. Very very nice and good looking shoe! Good quality. I`m from SA and Im a size 7 bought 41 perfect fit! Very fast shipping within a week!! I am so glad a bought these shoes!!! Now the hotspot in my foot is gone!! Very comfortable shoes, yet stiff. Power transfer on these shoes are up there with the high end ones. Best part is, I only got the shoes for $126. Merlin cycles rock! Great quality shoes. very comfortable. I went 0.5 size up and it's a perfect fit. Make sure you measure length of your foot before buying. Very light and rigid, the closing system is very good. Only used once so far. Good sizing (got the wide fit). Top of tongue started to stick into the top of my foot a little (however this is only on one foot so could be positioning). They should soften up a little over time. If you are looking for a wide fit these are phot on. Super flexible uppers and stiff carbon sole, Boa closure is quick and easy. 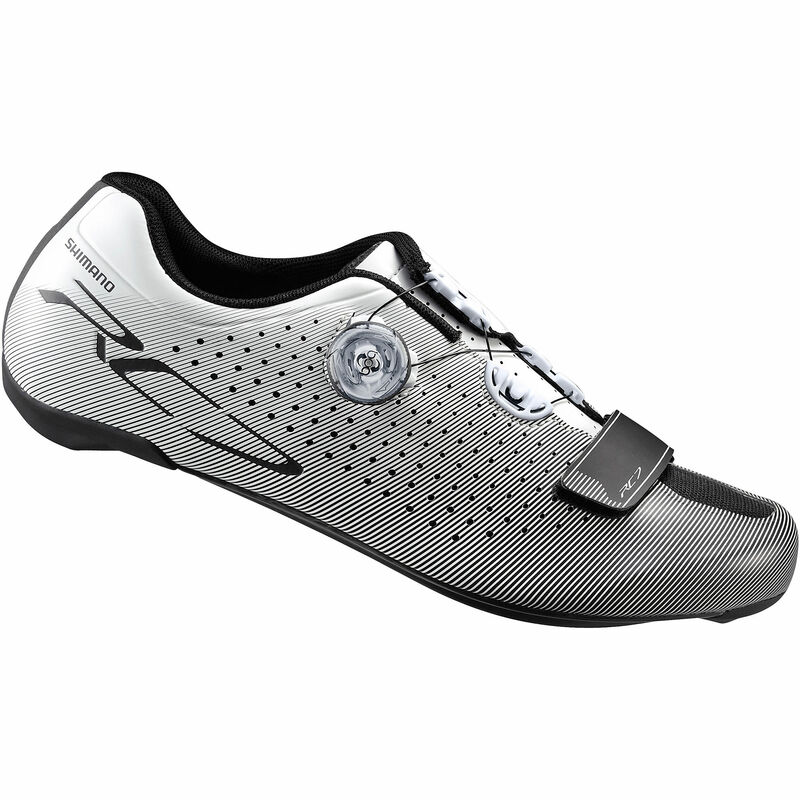 I'm normally a 47 in Shimano, Specialized and these fit true to that definitely recommend. I went to a bike shop and they tried fitting me on for a road bike shoe and they said I needed a shoe that's a little bit wider. A friend told me Shimano shoes are somewhat wider than a standard brand so I ordered from Merlin and sure enough, they fit well. Not to mention the prompt shipment, I received the shoes in no time at all.